The Orange HEST 2.0 Folder is exclusively at the Knifecenter of the Internet and comes with a free signed copy of designer Robert Young Pelton’s The Adventurist: My Life in Dangerous Places. This version of the HEST 2.0 Folder is the best we have seen. It has very aggressive partial serrations that will cut anything. The orange color handle will help you remember not to leave this survival tool behind, should you set it down – The KnifeCenter always recommends that, after you use your pocketknife, put it back in your pocket or sheath so that you don’t lose it! The DPx Hostile Environment Survival Tool® (HEST) Folder has evolved from its beginnings as the folding version of the HEST fixed blade. The HEST now goes further. On expeditions, hunts or in the conflict zones. Yes, a brutal-use folder can be small and light. DPx Gear features a Titanium alloy frame and a meaty D2 steel blade with orange G10 scales into an EDC folder. The HEST/F features a rapid deployment system that combines a patented RotoBlock system that actually locks the folder into a fixed blade. The HEST was immediately sold out in both first run and production versions and put to work around the globe. 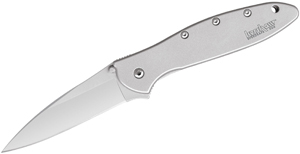 The hard-won experience and tips came back and went directly into this knife: larger frame, tighter 3mm pocket clip, revised pivot geometry, meatier lock and a 4mm G10 scale that replaces steel. All of which to make this HEST stronger and lighter than the famous original. The HEST comes with the stainless steel skull tool for adjustment and handy defense and utility work. 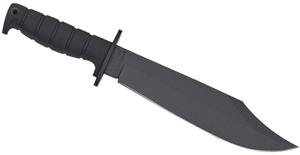 The HEST/F was developed as the direct folding version of the famous DPx Hostile Environment Survival Tool fixed blade knife. This latest version is dubbed the 2.0 because there are a number of significant modifications made to the first release of this brutal use folder. The goal was to increase strength without adding weight and to directly enhance t ease of opening, strength of lockup and usability. 1. 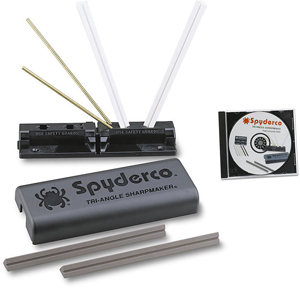 Removal of the stainless steel liner and addition of a thicker G10 scale, which reduces the potential for corrosion and also strengthens the knife while reducing the weight. 2. Subtle geometry changes to the pivot, lock point, thrust angle, thumb stud and heel angle. Each of these changes was designed to make the knife easier to open, strengthen the lock bar and allow the knife to open more smoothly. 3. We also increased the size of the heel, length of the back spacer and the width of the frame to further increase the strength and handling. We redesigned the pocket clip and removed the two holes to make it stronger and easier to use. You will also notice increased the cut hole for the thumb screw and scalloped the inside of the lock bar. An independent review of the HEST/F 2.0 included below provides an excellent overview. DPx Gear released three knives to our biggest critics with the mandate to try to destroy them. Their response was overwhelmingly positive. In all DPx Gear has created a lighter, stronger, smoother and simply better product for the same price as the original.